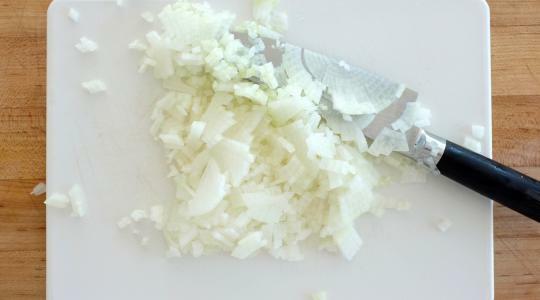 For the beans, finely chop the onion. In a medium saucepan, heat the oil over medium-high heat. Add the onion and salt and cook 7 to 8 minutes, stirring often, until blonde and very soft. 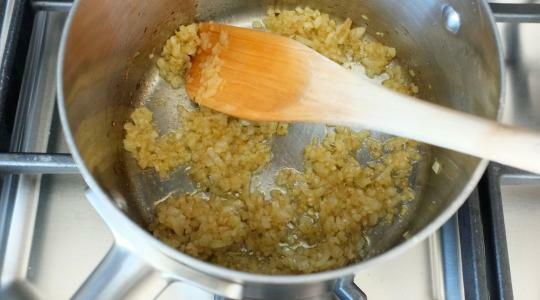 Add the cumin and cook for about 30 seconds, stirring, or until fragrant. 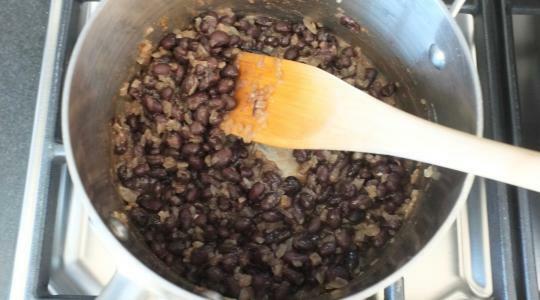 Add the beans, a few shakes of hot sauce, and ⅓ cup of water. Reduce the heat to low and simmer for 5 minutes, or until heated through. 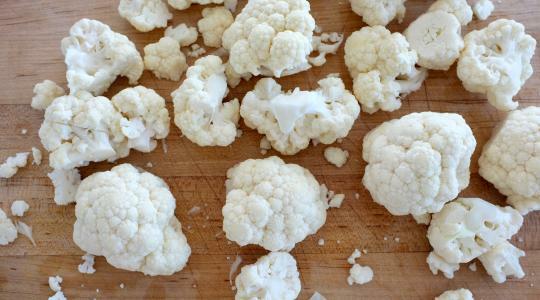 For the cauliflower rice, cut the cauliflower into florets. 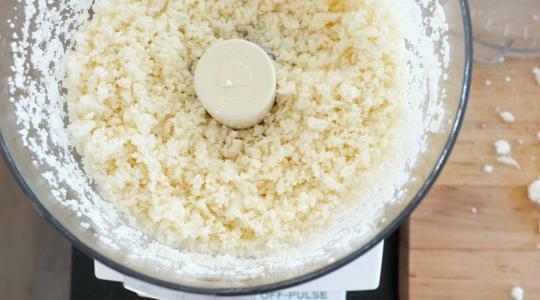 Add half of the florets to a food processor. Pulse several times until very finely chopped. Transfer to a bowl and repeat with the remaining cauliflower. In a large skillet, heat the oil over medium-high heat. 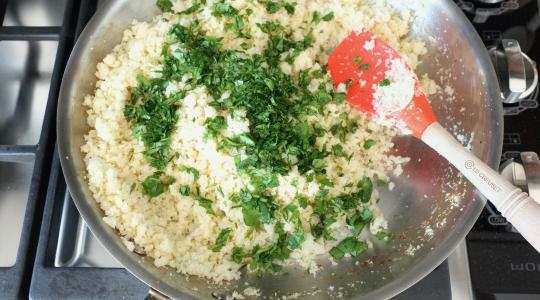 Add the cauliflower and cook for 5 to 6 minutes, stirring often, until the rawness and some of the water from the cauliflower cooks out (but you still want it to be al dente, not completely soft). Stir in the chili powder, salt, and cilantro. 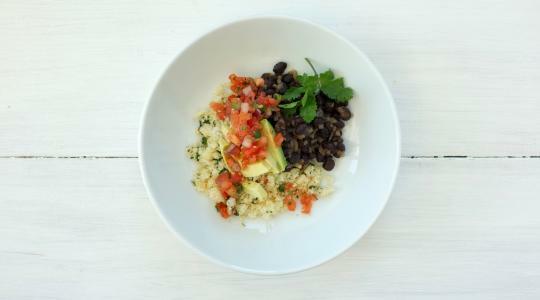 Divide the beans and rice among bowls. Top with avocado and salsa.